I was watching one of Connie Stewart's videos from Simply Simple Stamping and she made this adorable nugget holder and I thought this would work great with My Creative Time's Trifold Card Die. I used the same measurements that she did, it's a little shorter but it worked great. Score on the straight side at 1 3/8", 1 7/8", 3 1/4", 3 3/4", fold over and glue down. The Hershey Nuggets fit nice and snug, but adding the ribbon will make sure they stay in place. It holds three nuggets perfectly!! You can check out Connie's video here!! Die of the Month, the Teeny Tags Layering Dies! This sale will end on January 31, 2015 @ 12:00 am PST! This die set is great for cards, treat boxes or bags. 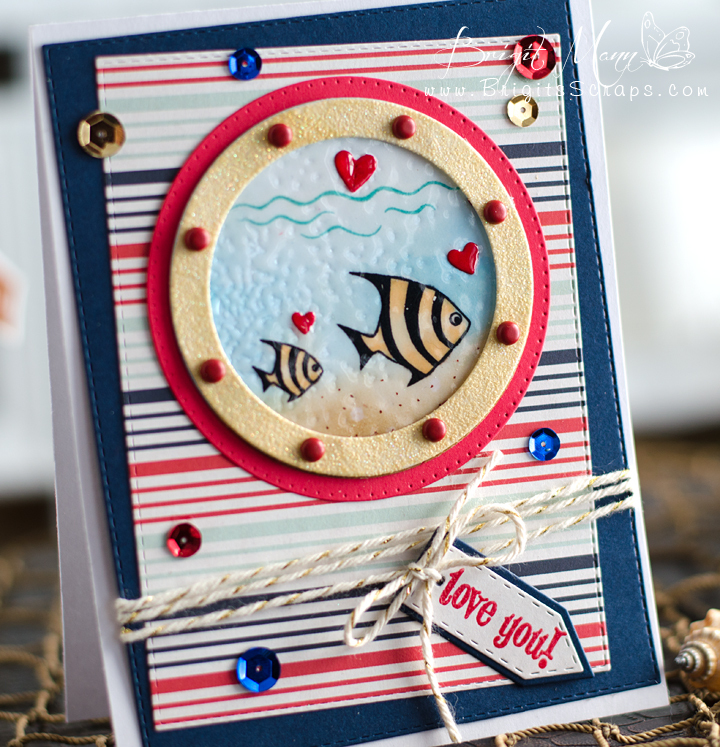 I used it with a sentiment from the Lost At Sea Stamp Set, the fish and wave stamps, porthole and 3" circle die are all from this set. 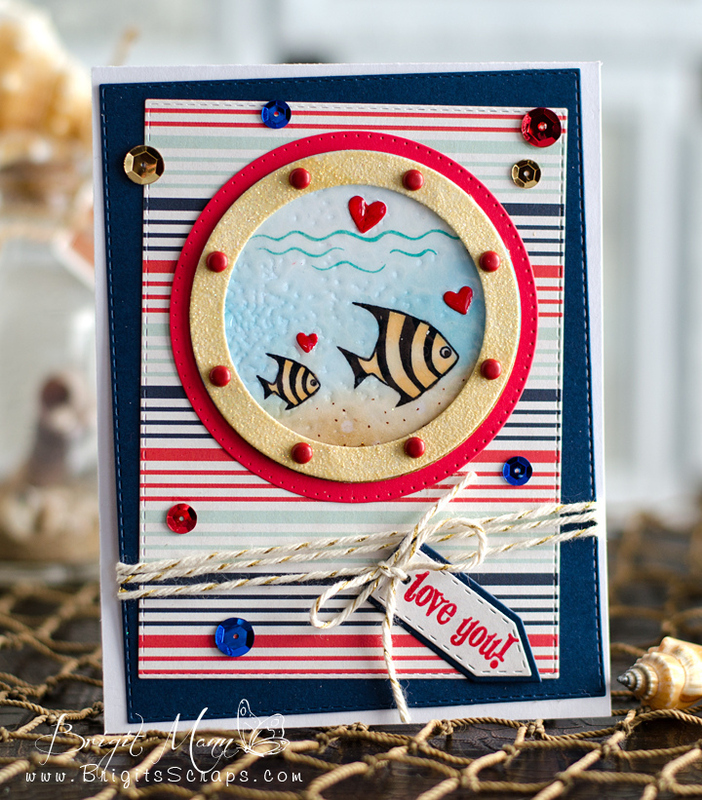 I used the 2 3/4" circle die from the Bunch of Fun Circle Die set for the background of the porthole, stamped the fishes and waves and colored them. I masked them off with rubber cement glue, if you never tried this it works great, here's a video by Jennifer Mcguire showing how to do it, totally brilliant!! For the water look I used some versamark and UTEE, (ultra thick embossing enamel). Carta Bella Paper Ahoy There, The Twinery Gold Shimmer, Enchanted Gold Embossing Powder, Distress Inks, Promarkers, Memento Ink, Rubber Cement, Utee, Versamark, Sequins, Brads. Best Bots Forever!! I love these lil robots they're so adorable. For the shaker I used the spaceship from SVG Cutting Files Alien Candy Tube Holder!! 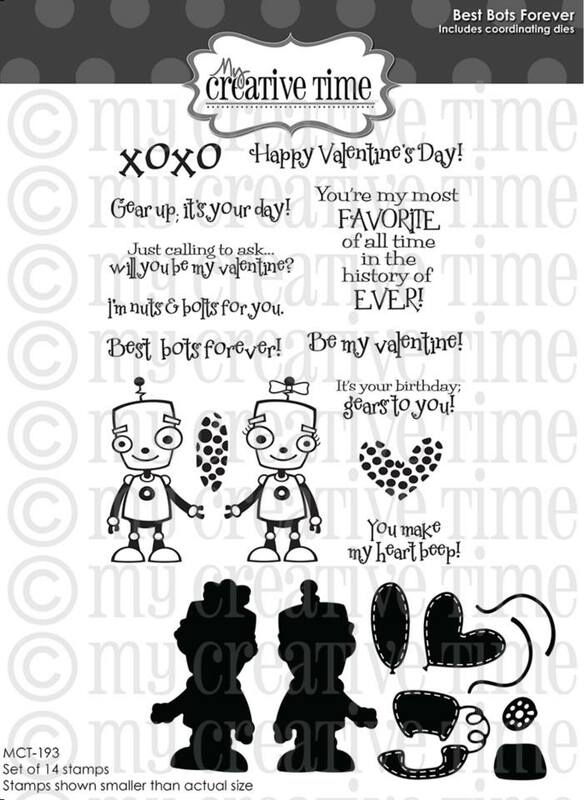 Paper is Doodlebug Design's Lovebug. Added some sequins, beads and some chunky glitter inside. Scrap Your Memories Blog Hop! 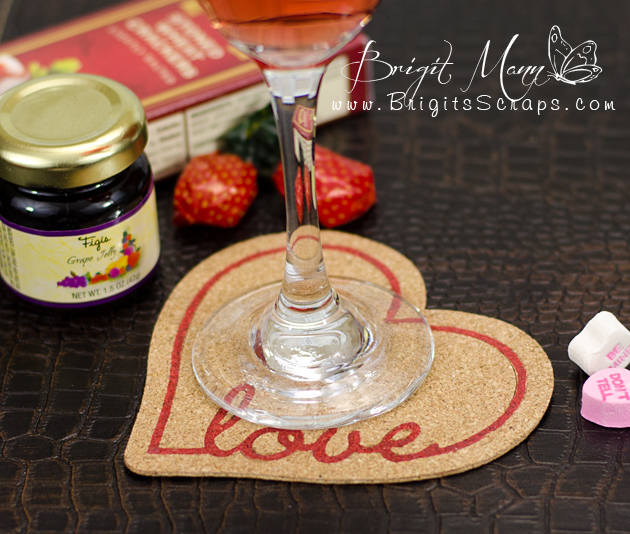 Welcome to the Scrap Your Memories Blog Hop!! by our talented DT by following the guides below! We have a pontoon and spend our summers on the lake as much as we can. 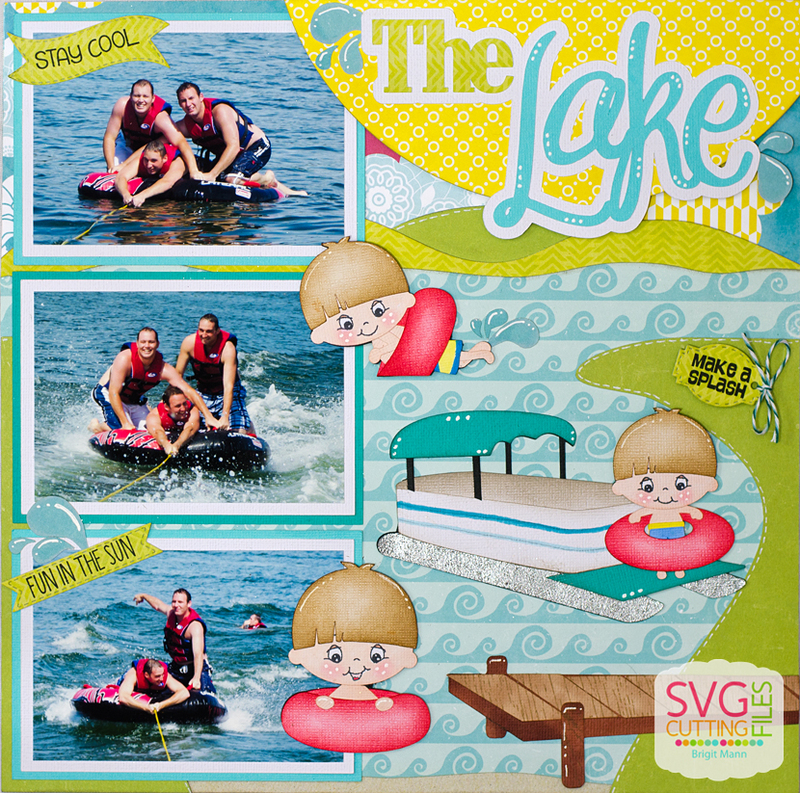 I wanted to scrap photos of 3 of my boys tubing so Annie came up with this wonderful layout for me, At The Lake!! The pontoon looks exactly like mine, it's amazing and I love that dock, definitely going to be using it in other projects!! The layout kits comes with everything you need to complete your page, I just added the boys from Tubing Fun Christopher set. The stamp sentiments are from the Happy Summer set from Jaded Blossom as is the Mini Tag Dies 2 dies. You can purchase this layout here. Here's the hop order, have fun!! Hi everyone!! I have a quick and easy project to share with you today! Using stamps and dies from My Creative Time! It's valentine treat's for the boys and girls at school!! I kept it pretty simple since it's a Made in Minutes project plus if you want to make a bunch for a class, it's best to make it easier on yourself. I thought about coloring the robots but cutting them out on the silver cardstock was much quicker. plus I think they look good against the pink! 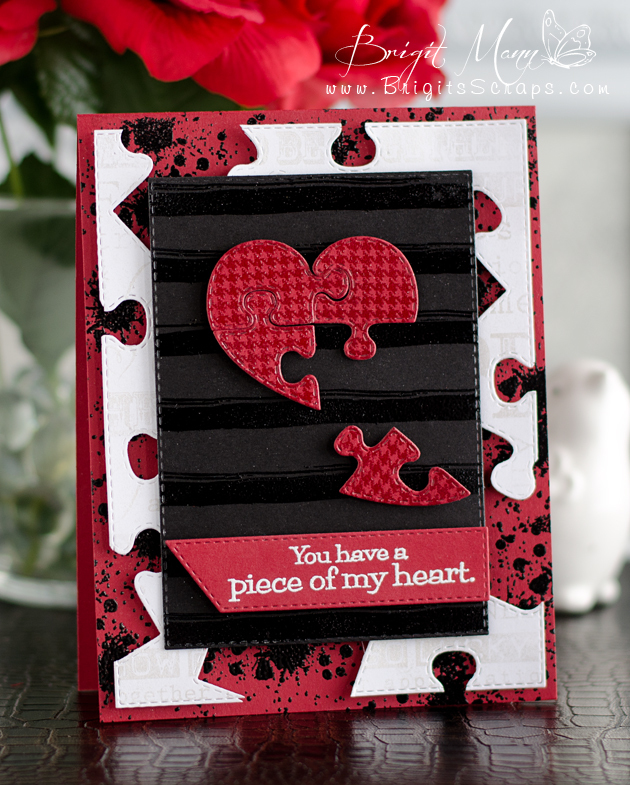 I cutout two of the larger hearts from the NEW Heart 2 Heart Love Frame die set. On the top one I used the smaller heart die in the set to make the candy cutout. You slide the top heart over the candy, it catches a little in the back, you could use a glue dot to hold the candy in place but I didn't need one. I then glued the top heart to the second one I cutout. 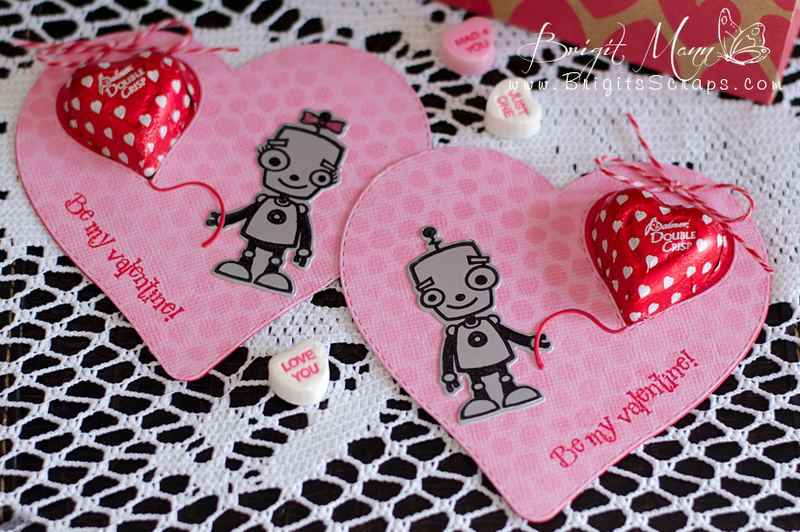 I added the adorable robot with balloon string and a cute sentiment from the Best Bots Forever Stamp Set. Theme: Anything for Your Valentine!! I love these handled bags they are adorable, I used the train one and put a valentine spin on it. I skewed it a little in SSDE, I think it looks like it's really moving!! My Creative Time's 39th Release Blog Hop! Finally My Creative Time's Release and Reveal Day, YAY!!! I'm so excited, I bet you all can't wait to order!! I also used the new Heart to Heart Frame Die! I made a burlap potpourri bag, it smells so good, just like roses!! I think I'll hang this up in my closet!! This was so easy to make, I'm not to thrilled with sewing so I used hot glue, though I did put a couple of stitches in the vellum, patting myself on the back, lol!! 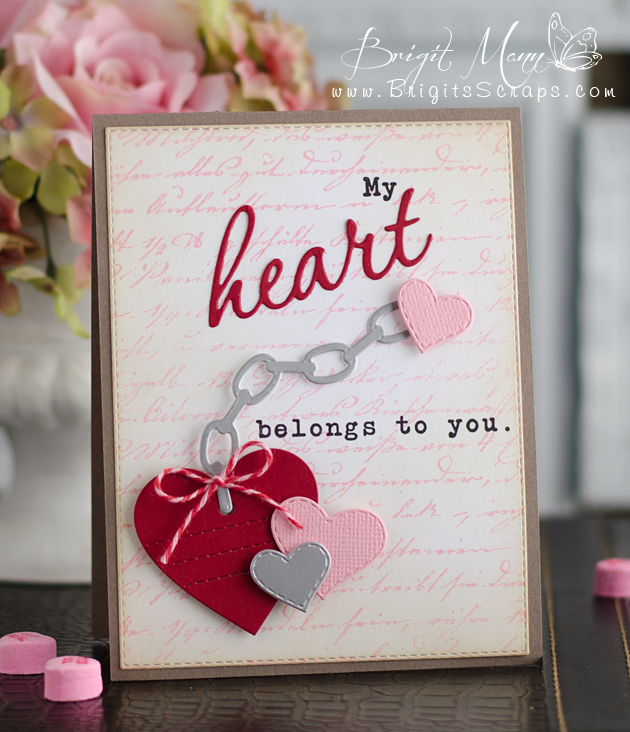 New Heart to Heart Frame Dies! Well here they are, totally love!! ALSO, DON'T FORGET our sale starts RIGHT NOW! Use the code: JAN2015 to receive a discount off your entire purchase! This sale applies to "IN-STOCK" items ONLY. This sale will end on Friday, January 23rd @midnight PST. Now onto the blog hop, for more wonderful projects, before you go I just would like to thank you all for the wonderful comments I received all week long, MCT has awesome fans!!! 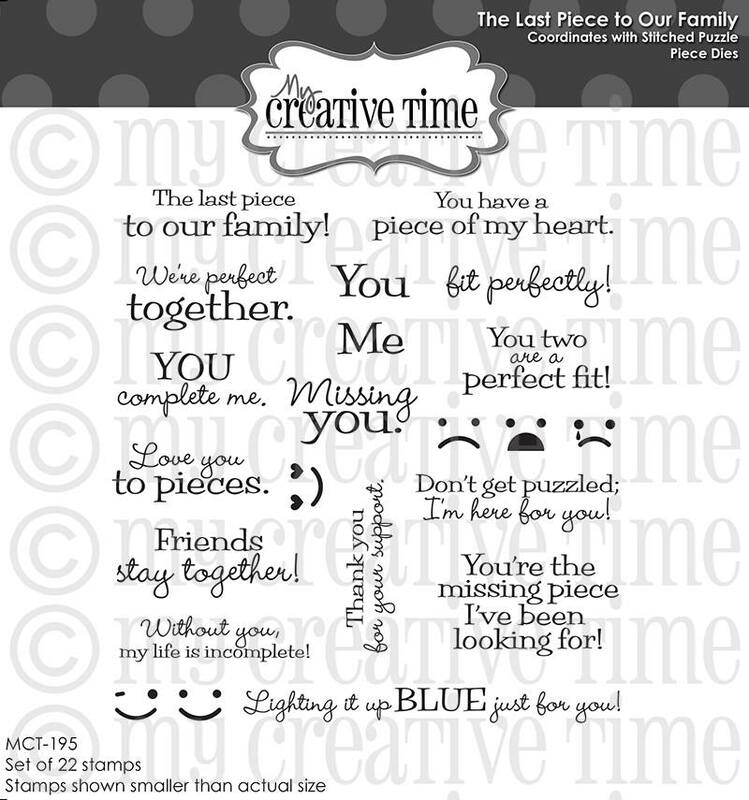 It's Day 4 of My Creative Time's 39th Release!! and you get to see this wonderful release!! My first project I used the Best Bots Forever, this is just the cutest set!! 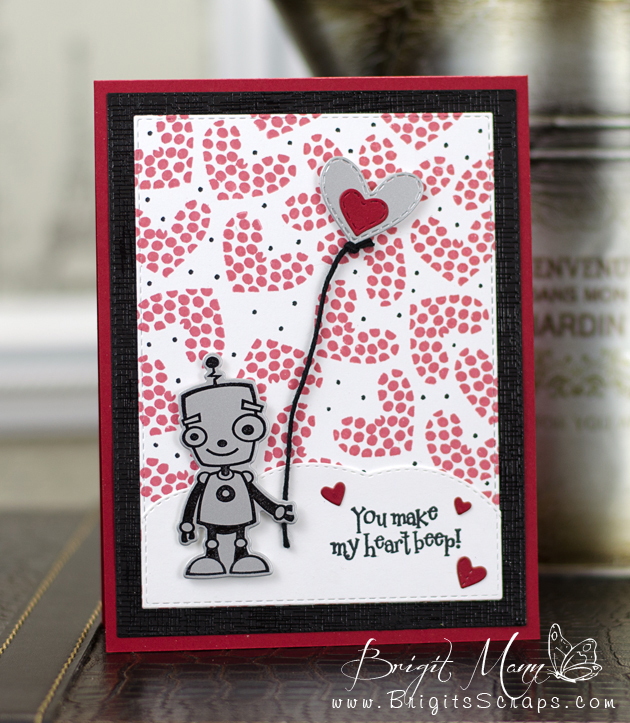 It has dies and stamps, I cut the cute little robot out in silver paper and stamped with with stazon ink. 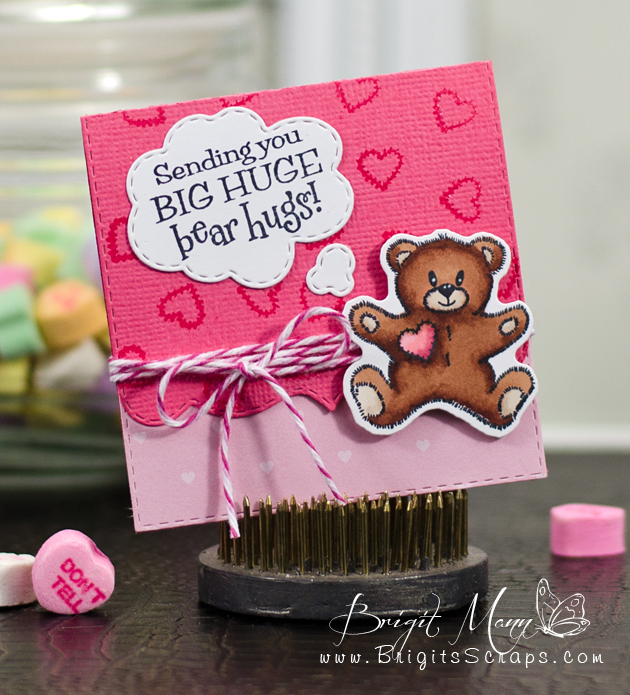 The background was created using one of the stamps in the set that coordinates with the heart balloon die. On the black cardstock I used one of the stamps from the Build A Banner set, I love this to add texture to smooth paper, I use it often. I used the Large Cloud Bubble Edge Die for the ground and to stamp the sentiment one. You are going to love this set!! I love making coasters so I'm so happy with the Heart to Heart Frame dies! I put the two dies together and cut out the cork, which creates three cut pieces. Gently pulling the pieces apart and coloring the love frame with a red promaker. I cut out a solid heart from cork and glued the three pieces together on top of that piece. You can also cut out a piece of felt and glue to the bottom, I usually do that with one layer of cork, but since this is two layers you really don't need to. These are nice to give with a bottle of wine as a gift! 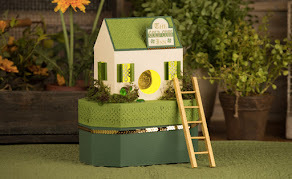 Linked to Paper Issues Linky Party here! It's Day 3 of My Creative Time's 39th Release!! 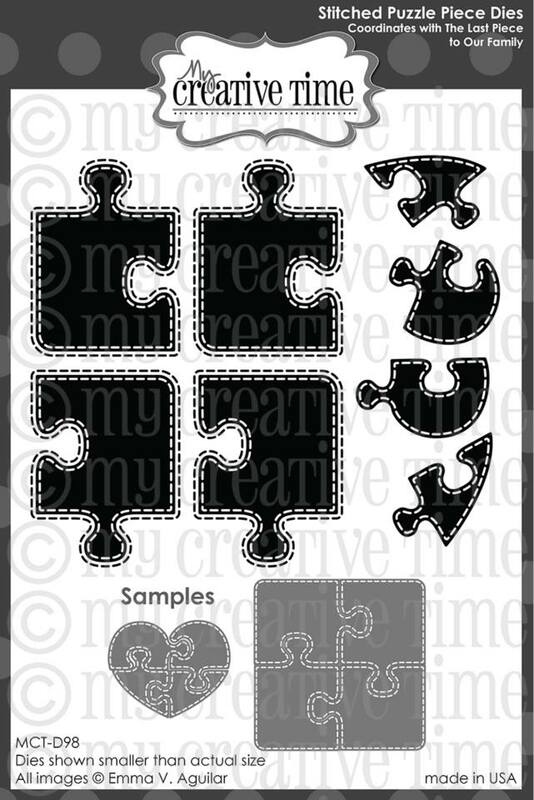 You are going to love these puzzle pieces!! I first stamped and embossed the cardbase using the Family is Everything set. On the white cardstock I stamped the Love Collage Background, (this stamp is still available but will be retired after they are gone), with versamark and dusted with perfect pearls, it really looks so pretty in person. 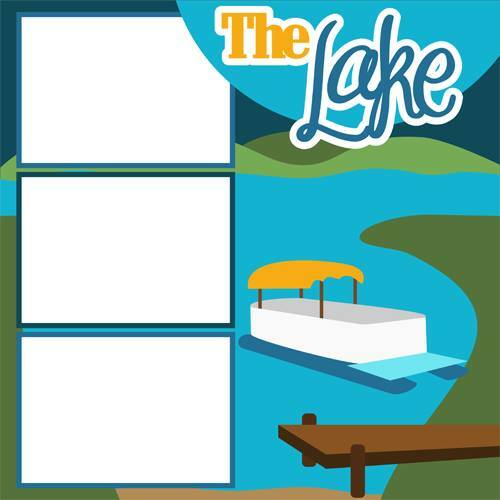 Diecut that piece with one of the Stitched Rectangular Frame Dies and More and used the new die puzzle pieces to make cut outs around the cardstock. I stamped and embossed the black cardstock using the Stripey Background Stamp. 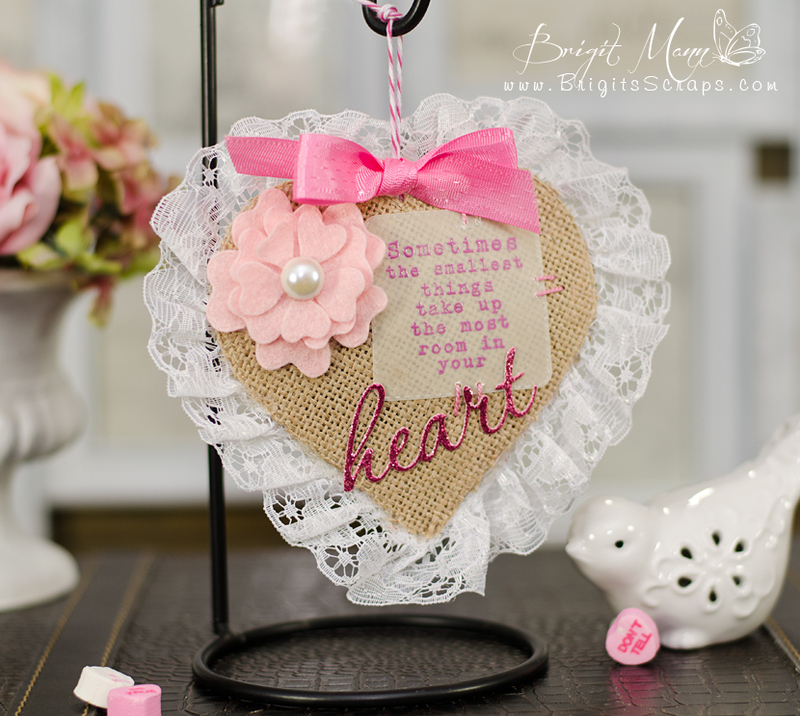 On the new heart puzzle pieces I stamped and embossed one of the 2x2 backgrounds from the Build A Banner set and the sentiment from the new set is stamped onto one of the Stitched Decorative Banners. Believe me this card was much quicker to make than me typing this all out, lol!! I really love creating backgrounds from the stamps and dies, so much fun!! it will automatically be added to your cart!! Welcome Back to Day 2 of My Creative Time's 39th Release!! You Make My Heart Smile!! The diecut word heart and sentiment is from this new set, I love diecut words!! 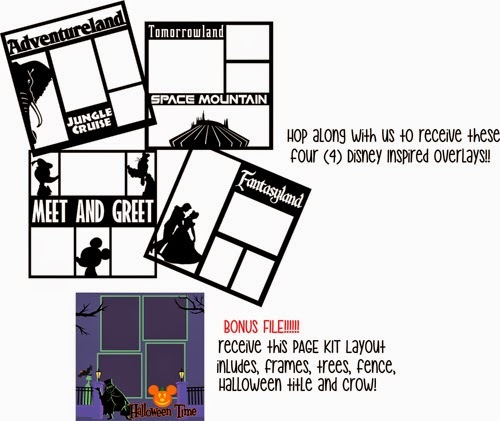 The writing background was created using the Build A Scripty background stamp. 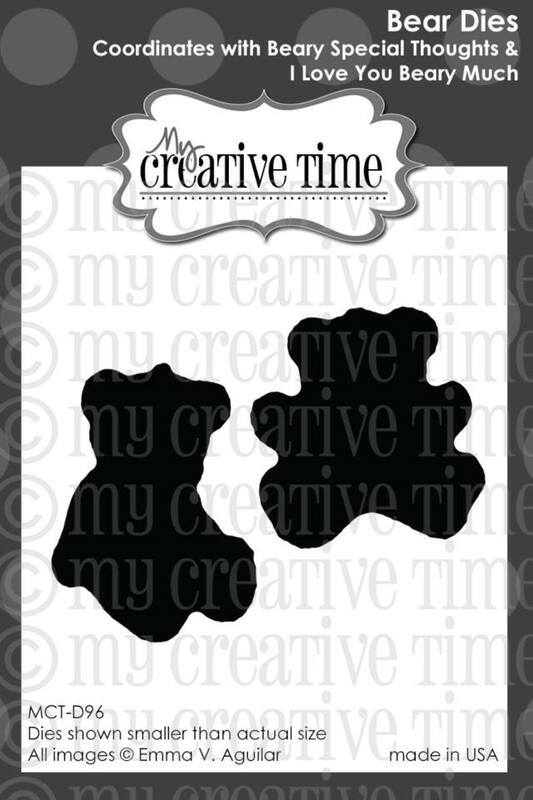 My Creative Time's 39th Release!! 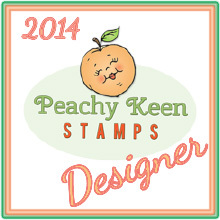 Miss Emma does it again with these fabulous stamps and dies!! 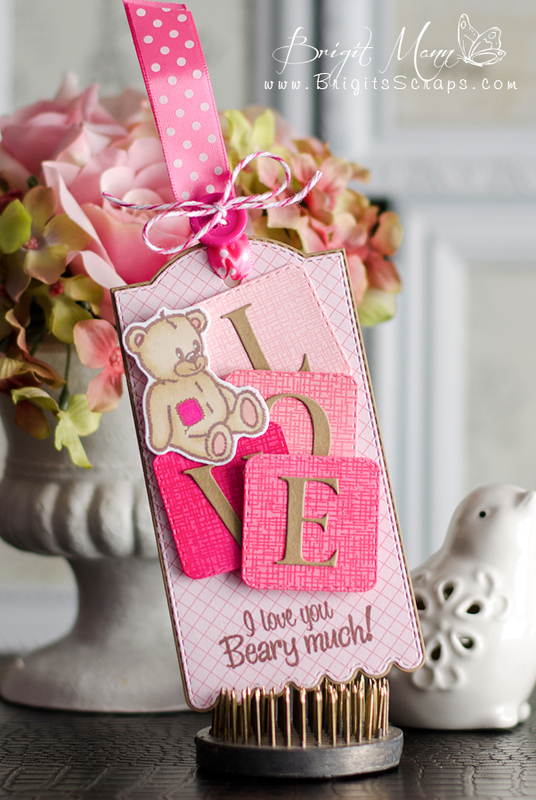 Here I used the new Bear Dies that goes with the Beary Special Thoughts Stamp Set, the sentiment is also from this set. I'm so happy there are dies now to cut these bears out! For that textured background on the blocks I used one of the Build a Banner stamps and embossed, this stamp is perfect for adding that textured look to your diecuts. 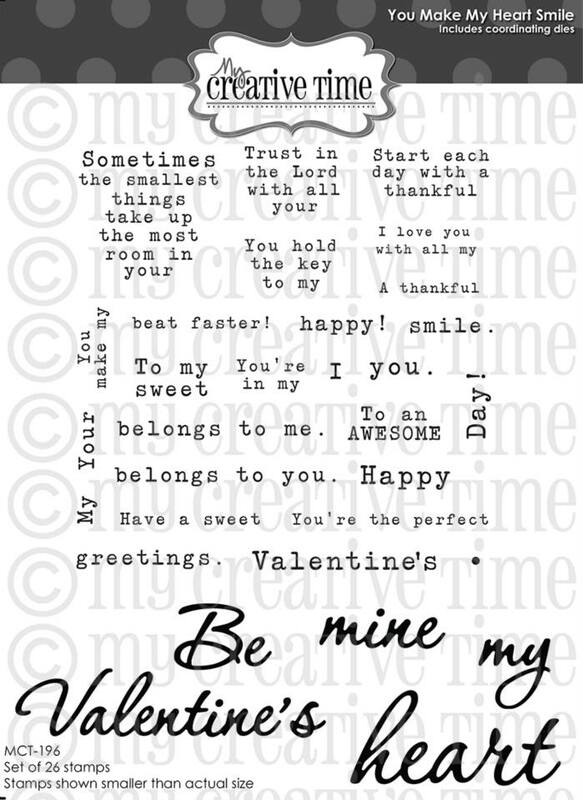 The stamps and die make this a quick and easy project to make, a great school project for valentine's Day! I used the new Bear Die to cut out the second bear from the Beary Special Thoughts set. 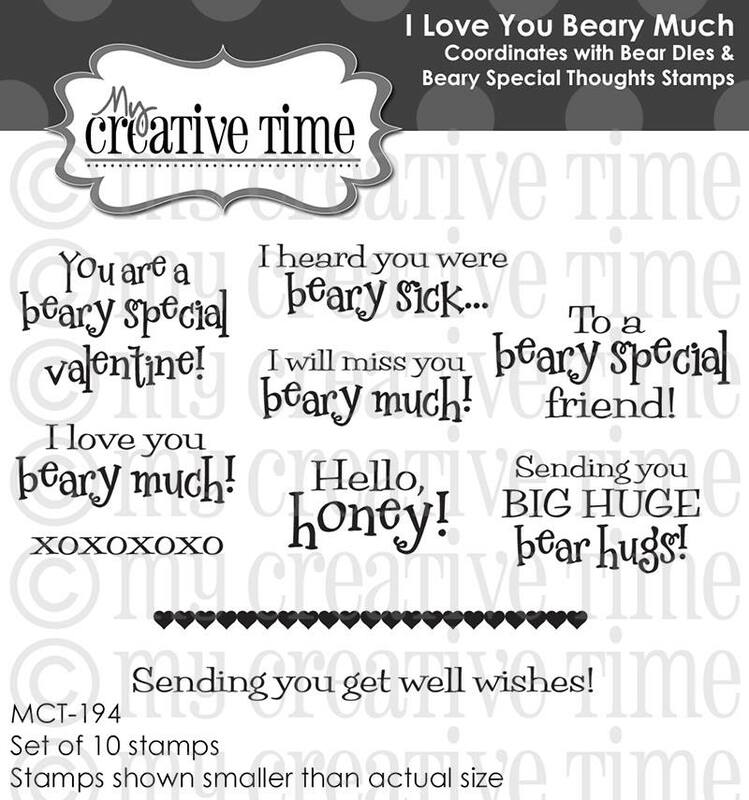 The sentiment is from the New I Love You Beary Much stamp set. Hi Everyone, I have a cute card today to share!! then mirror imaging it and welding it together. 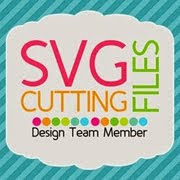 I did one more card today, I love this Chibi Artist Girl from SVG Cutting Files, she too cute. 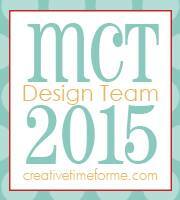 My Creative Time 2015 Design Team! !